I have written openly, already, about how Postnatal Depression has affected my faith – you can find that article here. I never believed that the journey of PND would be mine and I could never have fathomed that something, anything in life, could be so destructive to my faith. Postnatal Depression has been “that thing”. 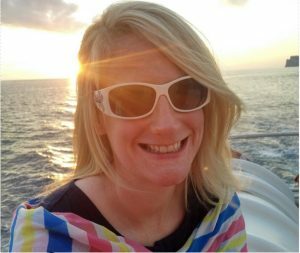 It’s by no means the first challenge in my life – I have faced a few other heartbreaking and life transforming circumstances, before PND, but none has gripped me, as this illness has. I remember attending a women’s event in church. Getting there was a battle – leaving Gavin and Reuben for half a Saturday (for the first time ever) was no mean feat! But I did it and arrived, a little late, but at least I was there. I cannot begin to explain the wave of emotion that engulfed me. It was like nothing I had ever felt before. Part of me wanted to run out of the building, the other wanted to curl into a ball on the floor and weep for eternity. I was not expecting that. I couldn’t get out fast enough, leaving well before the event was over. The overwhelming emotion I felt was ANGER and then DESPAIR . I do not believe that in the midst of this “storm” (I had no idea it was PND, it was just a black hole) that ‘He is Lord’, I don’t believe He sees me, I don’t believe I can survive this…I CAN’T BELIEVE and DON’T UNDERSTAND. In the moments of revelation, I could almost feel myself letting go of His hand, having no strength left to continue to hold on. That was my honest, heartfelt reaction. It ashamed me. But I could not fight it, nor the fact that it was how I was truly feeling. I was absolutely gutted. It pulled the rug from under me. I had no reference points to feeling like this, and surviving, before. Never, in my faith-life, had I stood on this side if my belief system. If frightened me, it consumed me, it disappointed me and it caused me to hide. I used to attend various churches – sometimes 2 different each month – for work. There I would speak and attest to God’s faithfulness, love, compassion and my hope in Him. On maternity leave from work, that necessity was gone. So was my desire to read the bible – when did I even get time to read anything, other than baby advice, anyway?! As the illness took hold of me further, my faith felt further out of reach. I felt very lost, spiritually, with hindsight I can see that. In the midst of life and PND, I was simply hanging on by a finger nail. PND made me severely ill, during my 2 year undiagnosed battle – emotionally, physically, mentally and spiritually. So much so, that I wanted to give up on life altogether – I wanted out and I simply wanted “to die”, as I told my husband on number of occasions. I spent a lot of my time during PND angry at my faith – disappointed that my honest answer seemed to be “my anchor DOES NOT hold within the veil” but also heartbroken that the faith I adored (and that I would have died for) seemed to have died in me. I beat myself up over and over again – at times feeling that God had abandoned me, forgotten me, was disappointed with me and even worse, was punishing me. I began to believe untruths about Him – confessing everything little thing or “sin” I could think of, hoping to appease him and set things right. It’s only now, that I am on my journey of recovery, that I am starting to understand myself and my faith, in light of PND. My reaction was right – “my anchor does not hold within in the veil”. Quite simply because I was holding onto the wrong thing, as my anchor in PND. I had allowed my anchor to become MY faith, MY prayer life, MY bible reading, MY usefulness, MY believe system, MY church attendance, MY evangelism and MY love for God. I forgot that NONE of those are my anchor. 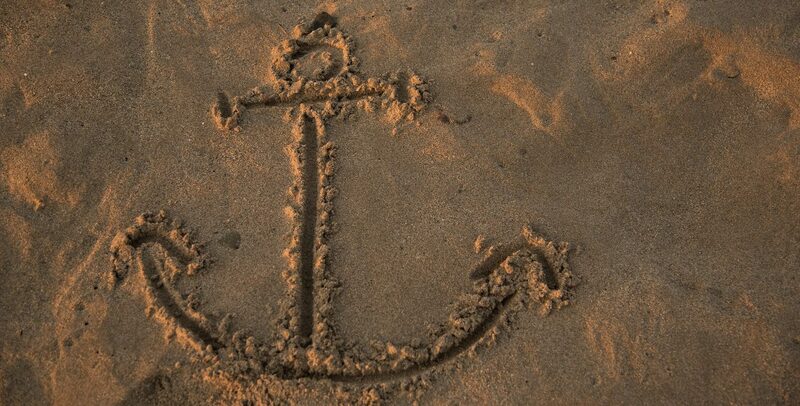 My anchor is Jesus Christ. And HE absolutely, 100 %, does stand and ‘hold within in the veil’. It’s not about who I am, it’s about who I am in Him and because of Him. I forget this fundamental truth – I have nothing to offer God, He has everything to offer me – JESUS. “My JESUS CHRIST holds within the veil”. He is still my salvation. He is still my access to God. He is still my strong tower; comforter; mediator; best friend; the lover of my soul; hope on the darkest of night; the One who dries my tears; understands my weary heart and never gives up on me. I am not the same person I was before we conceived Reuben but Jesus has not changed. How He feels about me can never change. His death on the cross will never change. How I feel about faith may go up and down. How I feel about life, PND and motherhood is a rollercoaster but my steadfast anchor is Christ. I am a different person due to PND. Sometimes I still don’t really know who that is. My faith is also different. It’s been battered, bruised, questioned, almost abandoned, forgotten, broken and almost very much destroyed. But thanks to JESUS there is still a seal on my life that cannot, and will not, be taken. So the truth is YES! My anchor does, absolutely 100%, hold within the veil, even with PND. But only because that anchor has absolutely nothing to do with me and everything to do with Christ.